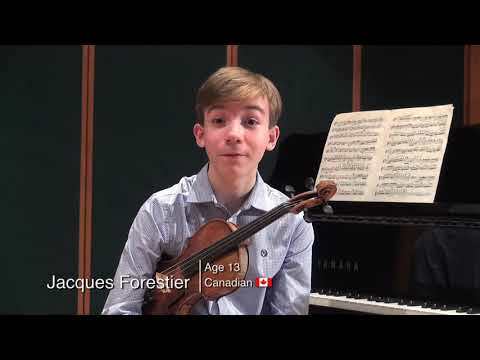 13-year-old Jacques Forestier began studying the violin at the age of two at Alberta College Conservatory of Music in Edmonton, Canada. Jacques is currently studying with distinguished teacher Bill Van der Sloot in the Honours Academy for Gifted Youth at Mount Royal University in Calgary, Canada. Jacques has had the great opportunity to also study with world-class guest artists including Ida Kavafian, Andres Cardenes, Midori Goto, and Pinchas Zukerman. 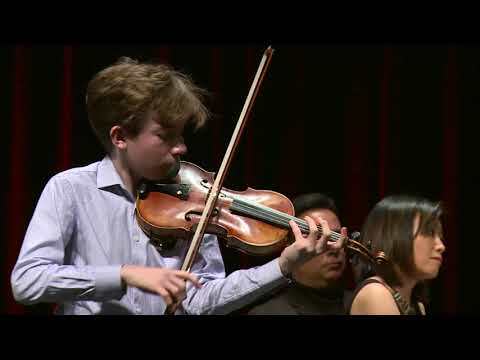 Making his orchestral debut at 11 years of age with the Edmonton Symphony Orchestra, Jacques has since gone on to perform with many orchestras and ensembles.